It's December, folks and that means one thing- the holiday season is upon us, you all. When I think of the holidays, my mind naturally turns to the tastes and flavors of the season. Frosted sugar cookies, gingerbread, hot cocoa, and of course, fudge. But I discovered one secret ingredient last year that helped me finally overcome my fudge making handicap- a tub of store bought frosting. Yes, some may call it cheating, but I just like to call it genius and pretty much foolproof. 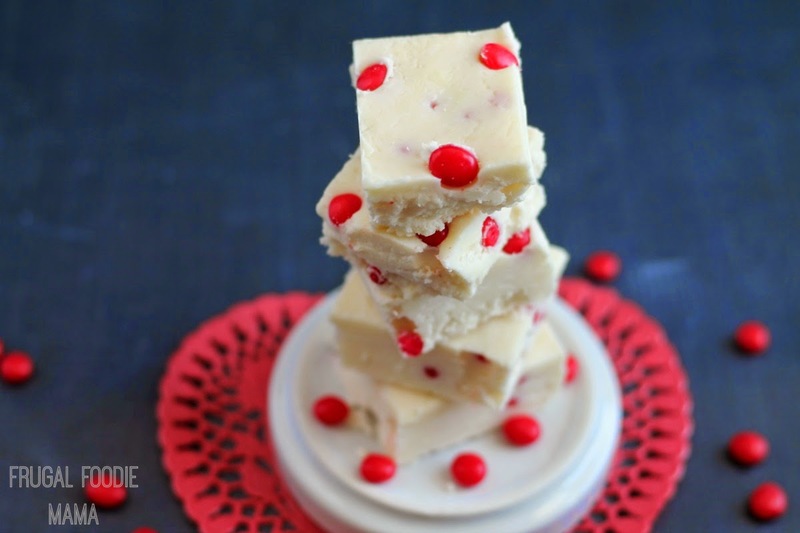 It has allowed me to finally make a delicious contribution to the family holiday fudge making each December. 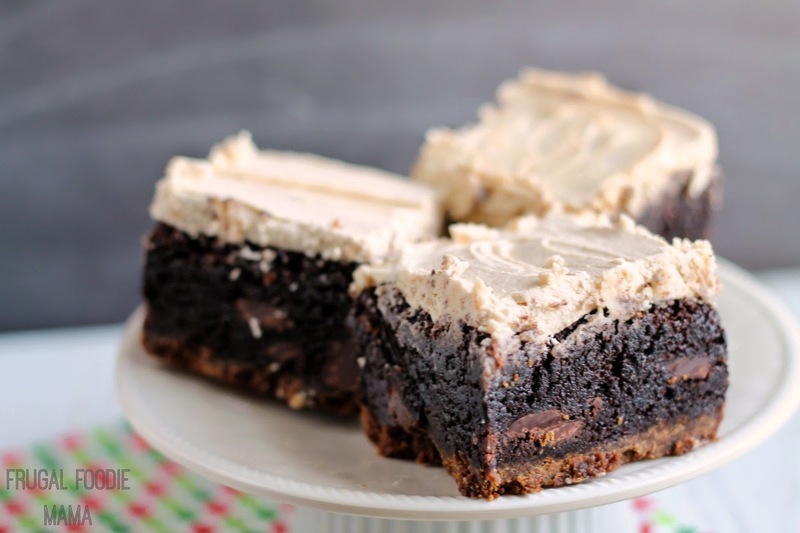 Add the cookie butter and vanilla frosting to a medium sized microwave-safe bowl. Do not stir. Microwave for 1 minute, & then stir until combined and completely smooth. 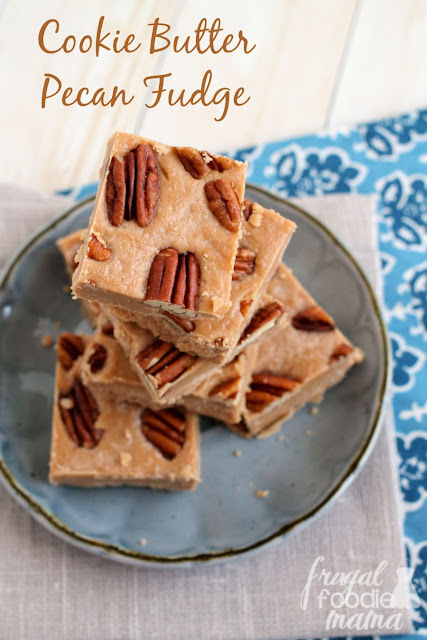 Fold in the pecan halves, reserving some to press into the top of the fudge. Pour into prepared pan and spread evenly. 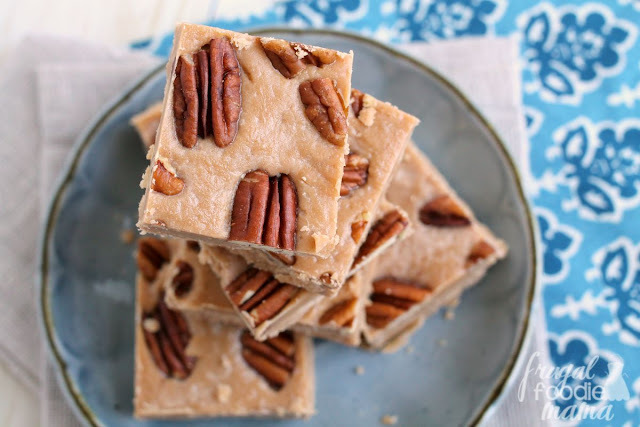 Press some of the full pecan halves into the top of the fudge, if desired. Place in the refrigerator until firm, about 2-3 hours. 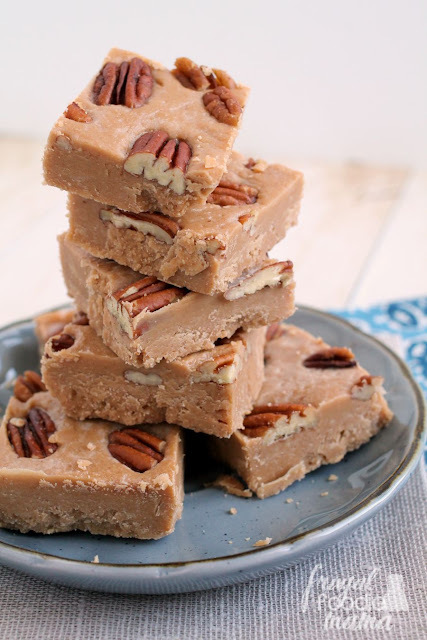 Remove the fudge from the pan using the parchment paper, and allow it to sit at room temperature for 10-15 minutes before cutting the fudge into squares. Store the fudge in an airtight container in the fridge or at room temperature for up to 2 weeks. 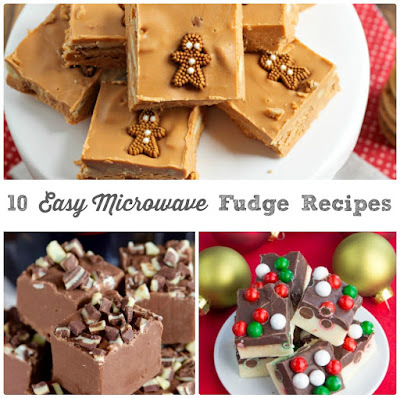 What is your favorite flavor of fudge for the holidays?